Warner Bros. has long tried to find a way to make I Am Legend 2 work, but could never quite crack the story. Now, they've completely given up on a sequel, and instead are rebooting the movie without Will Smith's involvement in the hopes of launching a whole new franchise. Warner Bros. believes it has found a way to continue on using the I Am Legend brand without the star, who has been reluctant to commit to sequels outside of the Men In Black franchise. They plan to take a spec script they recently acquired titled A Garden at the End of the World and retrofit it so that it falls in line with the story of the last man on earth. The screenplay was bought back in April from Gary Graham, who was working at an Apple store in Manhattan when he published the script on the Black List website. He soon caught the eye of CAA and manager Brooklyn Weaver, who quickly signed him and sent the screenplay out. Warner Bros. picked up the script amid several other bidders last april. The story of A Garden at the End of the World is described as a sci-fi version of The Searchers starring John Wayne. When Warner Bros. brought Gary Graham in to rewrite the screenplay, they had already talked to the producers of I Am Legend, noting the similar themes and mythology contained in both stories. Gary Graham was asked to redraft the script to fit into that world. Original producers Akiva Goldsman (who wrote the first movie), James Lassiter and Joby Harold are all on board for the reboot, and will produce alongside Roy Lee and Brooklyn Weaver. 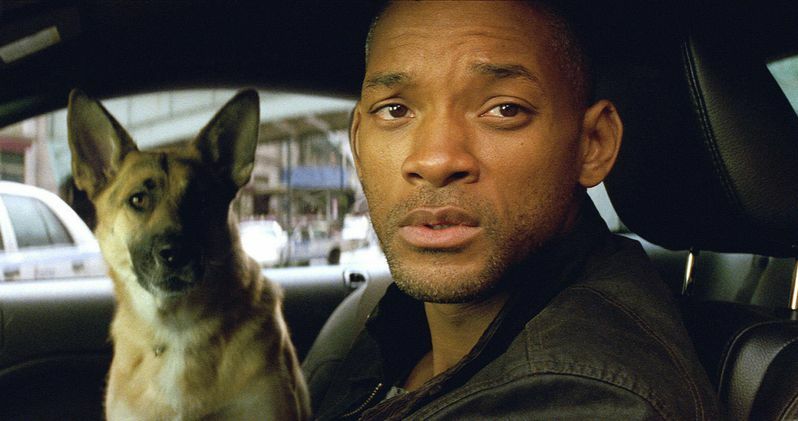 Warner Bros. previously tried to make a prequel to I Am Legend which would have brought Will Smith back as scientist Robert Neville, right before the events that left him alone on earth, fighting a new breed killer humans. While a lot of writers were brought into work on the screenplay, no would could figure out the correct path to take it. I Am Legend 2 was then scrapped. Turning a free-standing spec-script into a franchise sequel is nothing new. The Jonathan Hensleigh screenplay Simon Says was turned into Die Hard: With a Vengeance, George Nolfi had his screenplay Honor Among Thieves turned into Ocean's Twelve, and more recently Adam Cozad's Dubai became Jack Ryan: Shadow Recruit. No story details for the I Am Legend reboot have been revealed. Gary Graham no longer works at the Apple store, and instead makes a living as a full-time writer in New York.